PVC Film and PVC Shrink Film Slitting Rewinding Machine manufacturer, Polyvinyl Chloride Film, generally known in the market as PVC Film, is generally used for packing materials & different type of other applications. Our PVC Film and PVC Shrink Film Slitting Rewinding Machine comes in use for Slitting of all types of material thickness from 40 GSM TO 500 GSM. 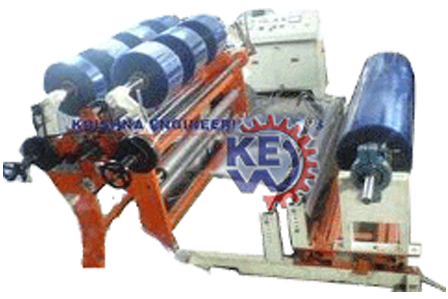 We are known in the market for RIGID PVC Slitting Rewinding Machine manufacturer. 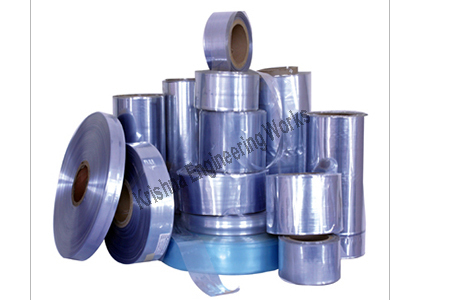 We have processed wide range of PVC Film in our Slitting Rewinding Machine. Manufacturer and Exporter of all type of Rubber Roller for different industries. We have been successfully Manufacturing, Exporting & Supplying all types of PVC Film & PVC Shrink Film Slitting Rewinding Machine since last 25 years from Ahmedabad, Gujarat, India. With more than 1400 installations all over India and overseas like Saudi Arabia, UAE, Dubai, Sharjah, South Africa, Nigeria, Ghana, Congo, Kenya, Zambia, Sri Lanka, Bangladesh, Malaysia, Pakistan, Nepal, Russia, Thailand, Indonesia, Brazil, Colombia, Venezuela, Argentina, Mexico, Canada, etc. Our machine is an ultimate PVC Film and PVC Shrink Film Slitting Rewinding Machine for its accurate slitting and rewinding qualities. It ensures perfect slitting of rolls with consistent, flawless results and constant line speed. It is available in adaptable model to suit your requirement. Our PVC Film and PVC Shrink Film Slitting Rewinding Machine is available in Rewinder, Duplex surface slitter and Rewinder and Canti lever differential slitter and Rewinder. Our PVC Film and PVC Shrink Film Slitting Rewinding Machine is renowned for its accurate slitting at a higher speed and vibration less working.